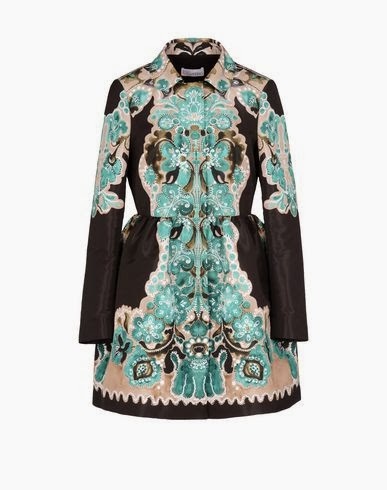 Dear Diary, can a coat keep you afloat? It isn't easy looking good in every coat you wear, unless you're name rhymes with the Duchess of Cambridge. They're expensive. You need your coat to keep you warm when its 30 degrees, feels like 20 with a -15 degree windchill. Warm coats are well made coats; well made coats are expensive. You can't have just one if the weather where you live is bad more than one week a year. 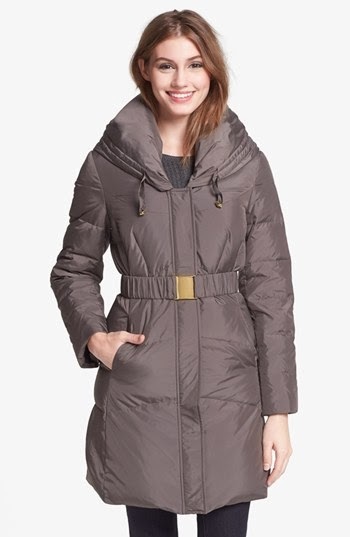 There is no catch-all coat for women. At bare minimum everyone has to have a nice formal coat and casual coat. They're bulky. No matter what kind of coat, they take up space in your closet, over your arm while shopping, and in your lap in class. The sleeves are never long enough for me. I'm not 6'2", but my wingspan is, do you know how many brands make Tall coats? Not many, and if they do, see #1. My favorite game to play is 'lets pretend money is no object' and so that's what we're doing with coats today. This is my ultimate, dream closet of coats. This rich-hippie-badass-boho look is not something I strive for every day, but if the mood strikes this jacket would fit the bill perfectly. 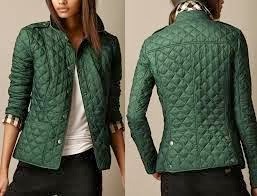 The Burberry quilted jacket is one of the most iconic coats of all time and this green color is stunning and different, yet still with the classic design. 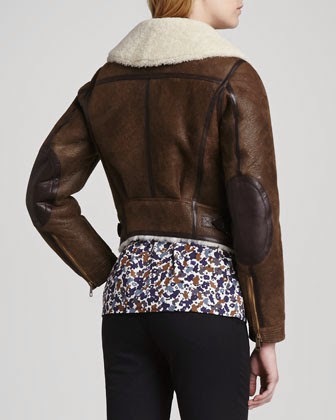 Could this bomber jacket be any more perfect? 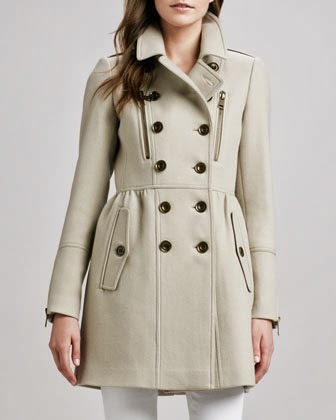 With the cinch at the waist this would be such a flattering coat, making it feminine but not too girly. 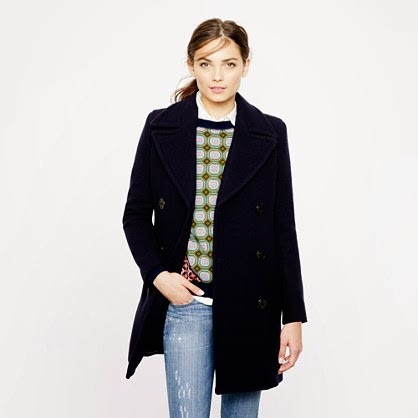 This peacoat would make a stunning impression. Its just the right amount of obnoxious, plus it comes in Tall so thank you for that J. Crew. 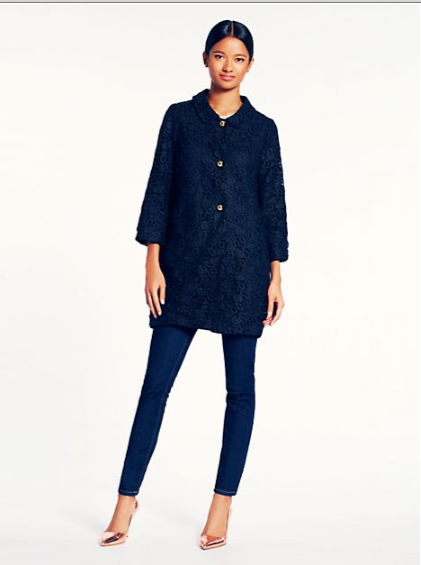 For the warmer winter days, this lace coat is what having money looks like, on a casual day. Not sure how I feel about the 13 year old who's modeling it, but I'll overlook it. I agree that the idea of fur is a bit morbid, but if it's vintage then you're really helping out cause that fur is getting reused so the animal's life continues to serve the fashion and warmth world, right? The faux furs also promote fur being fashionable so in my opinion just getting the real thing is the way to go. 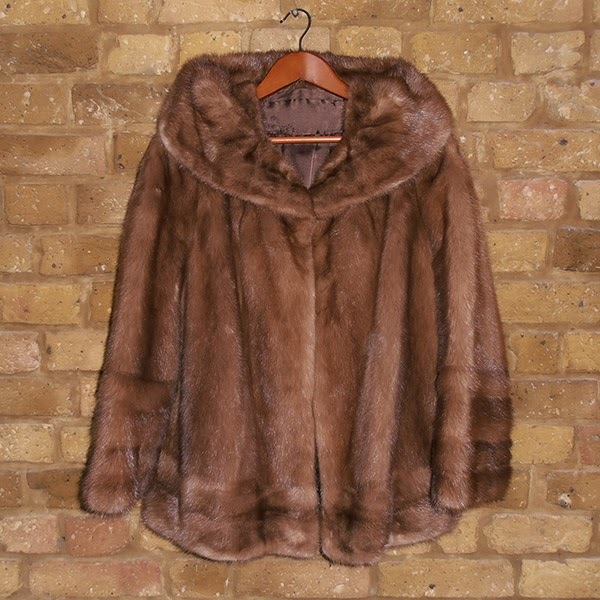 And this little hooded mink coat is just too cute for words. This is what down chic looks like. The belt is key. I'm drooling just looking at this masterpiece, and somewhere far away Effie Trinket just fainted. If I'm going to support the good ole' USA in the pregame for the summer Olympics, I'd like to do it through my wardrobe. Thank goodness Ralph Lauren has a hold on our attire, and if this is any kind of preview, my hopes are high for the opening ceremonies outfits. 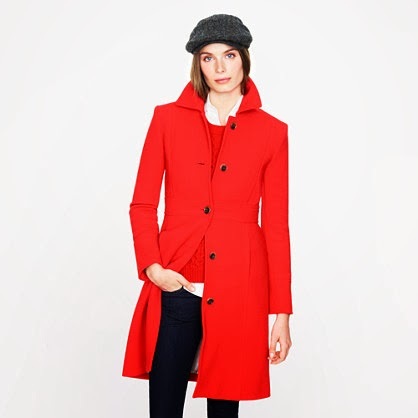 Its timeless and preppy in everyone's favorite color, plus its the perfect length. Want your own? Too bad, they're already sold out, and I'm not lending mine out. 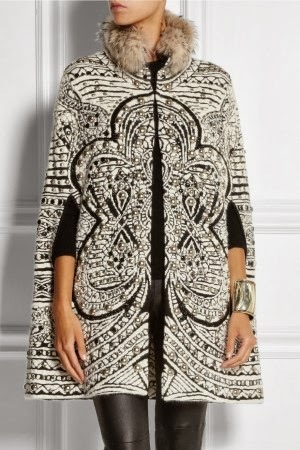 And finally, the creme of the crop, this Pucci cape. I have a weakness for capes, probably because they remind me of princesses and rich 1950's housewives. Sorry like half of them are Burberry but they make great coats and that's not my fault. If you're packing up your winter gear cause you know it won't be cold until next fall in the blissfully warm place you live in, I don't want to hear about it. Dear Diary, Karl is in my city yall! It's finals week and I'm up to my ears in papers and exams so I don't have time to write a witty article about the fact that there's a huge Chanel event in Dallas tonight, but luckily someone else did! I'm so mad that I'm missing it ... unfortunate scheduling, clearly Karl forgot to run the date by me. "The fashion show is invitation-only, with nearly 900 celebrities, members of the international fashion media and top Chanel customers expected to attend, helping to raise Dallas’ profile as a serious fashion city on par with Paris and New York." "Perhaps it’s our unofficial slogan, “Keep Dallas Pretentious” that appealed to his sensibilities. " Since when was that our unofficial slogan? I mean it's better than Austin's "Keep Austin Weird", in my lifetime of living in Dallas I've never heard that. But here's some pics of Karl with my idol, who is sure to be one of the 900 celebs who will be there tonight. They're besties. Reason #5983048 Blake's life is unreal.